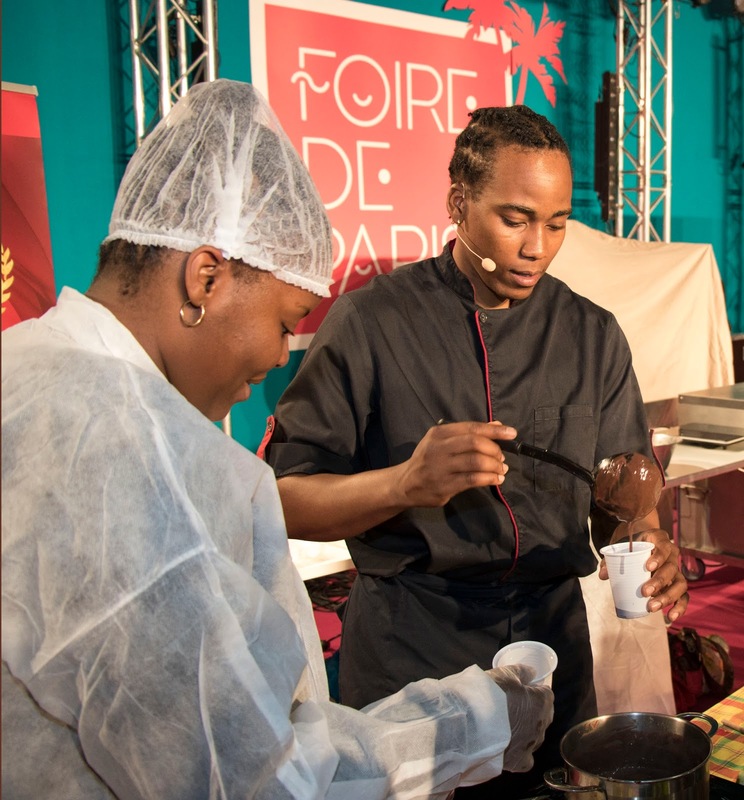 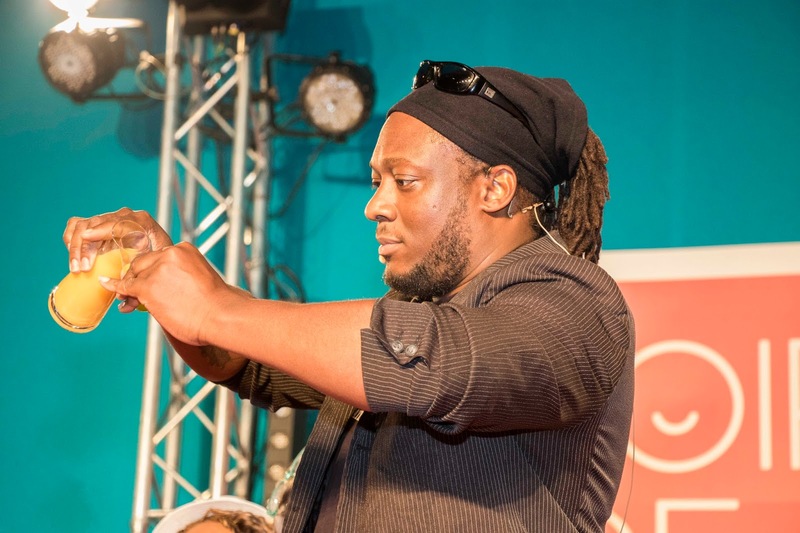 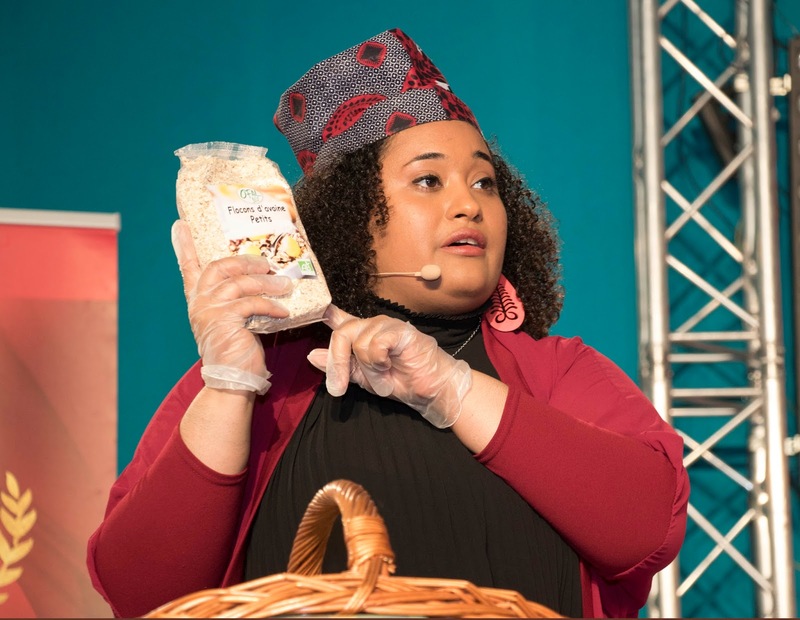 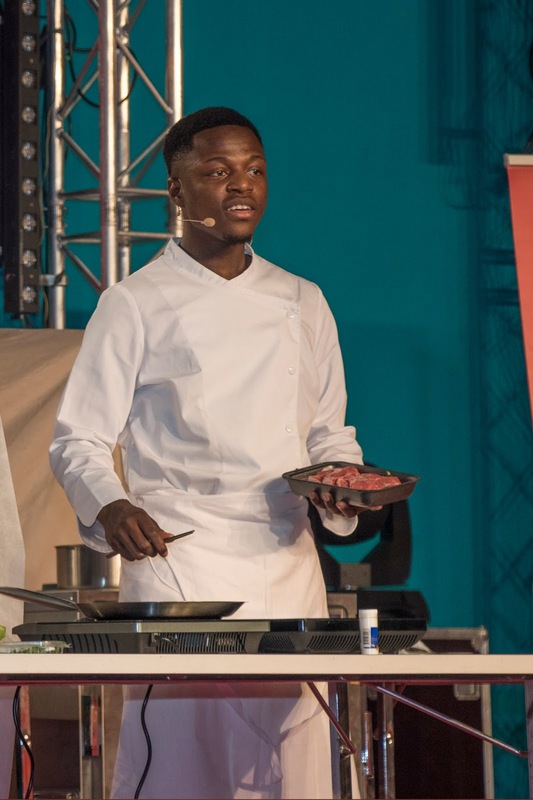 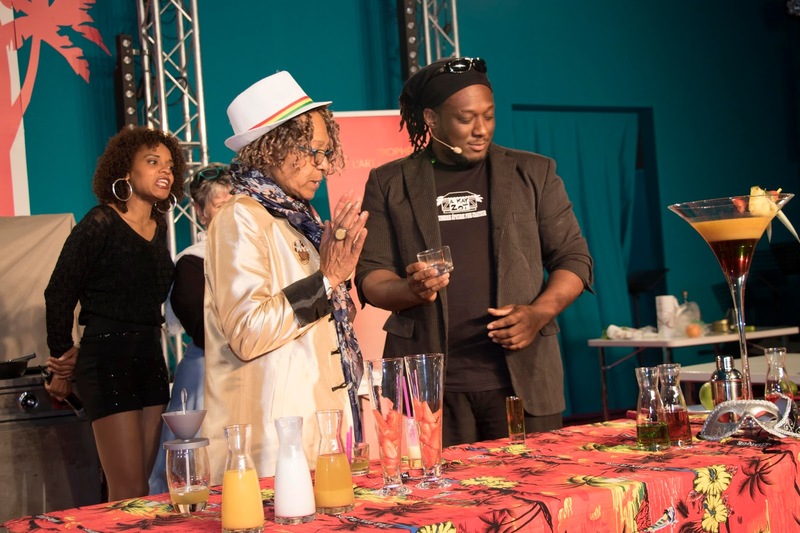 The Académie de l'Art Culinaire du Monde Créole hosted an all-day event featuring Creole cuisine at the Foire de Paris (Paris Fair) last week. MC Laura provided lively commentary as various local chefs prepared recipes for foods and beverages before a live audience. 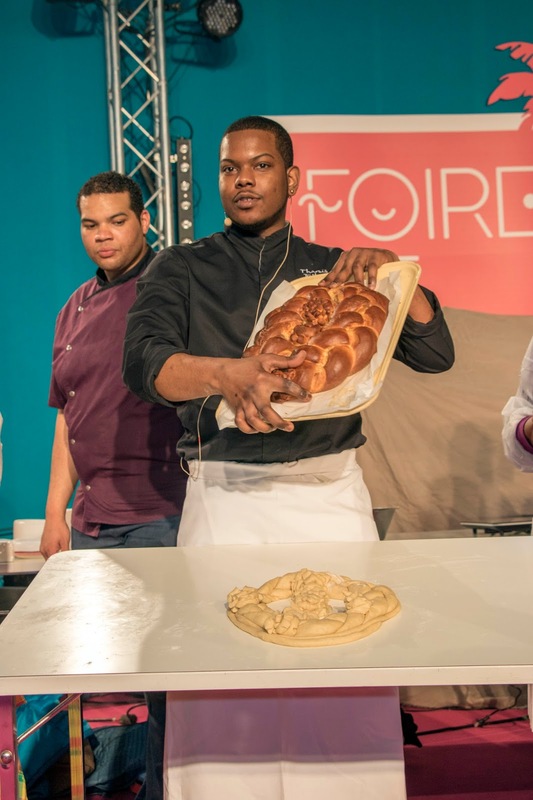 Chefs Tristan Tharsis and Yannis Artigny teamed up to prepare Pain au beurre et Chocolat martiniquais, a traditional combination served at special occasions such as weddings and baptisms. 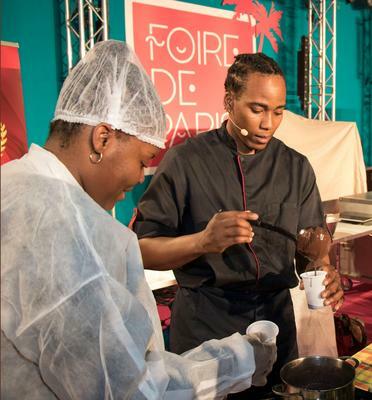 while Chef Tharsis prepared the hot chocolate. 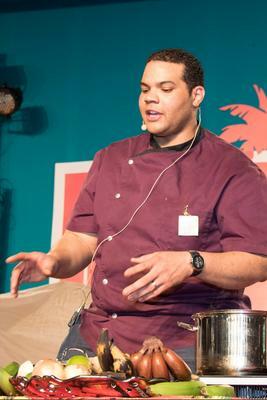 Chef Elis Bond prepared multiple Afro-Caribbean fusion dishes. He also worked with nutritionist Dr. Marie-Antoinette Séjean, who shared tips on how to prepare light and healthy Creole meals. 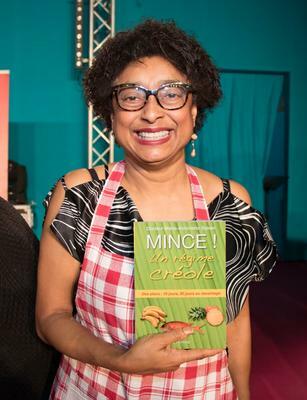 Dr. Séjean is president of the French association Nutricréole and the ambassadrice santé (Health Ambassador) for the Académie. 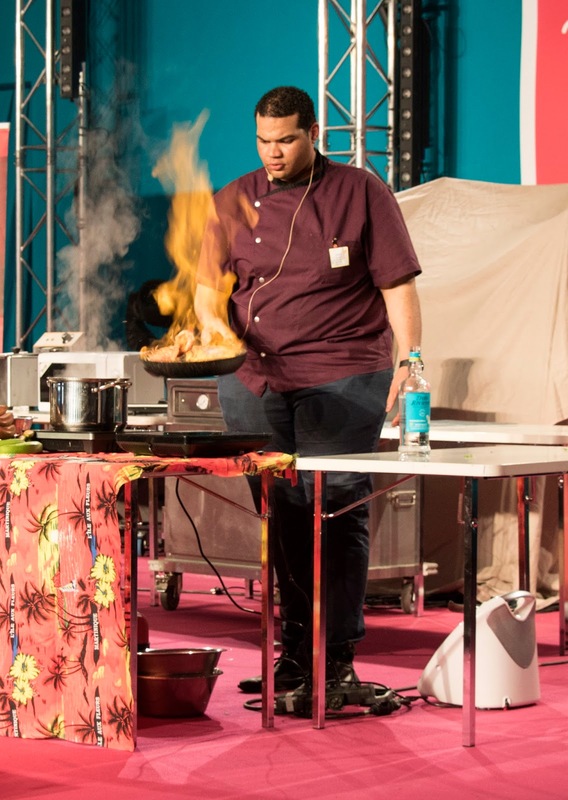 Chef Xavier Guillaume Sivager prepared a flaming plantain and bacon dish called Croustillant de banane au lard. Chef Ayaba prepared several varieties of vegan Boules d'énergie gourmandes Kâ. 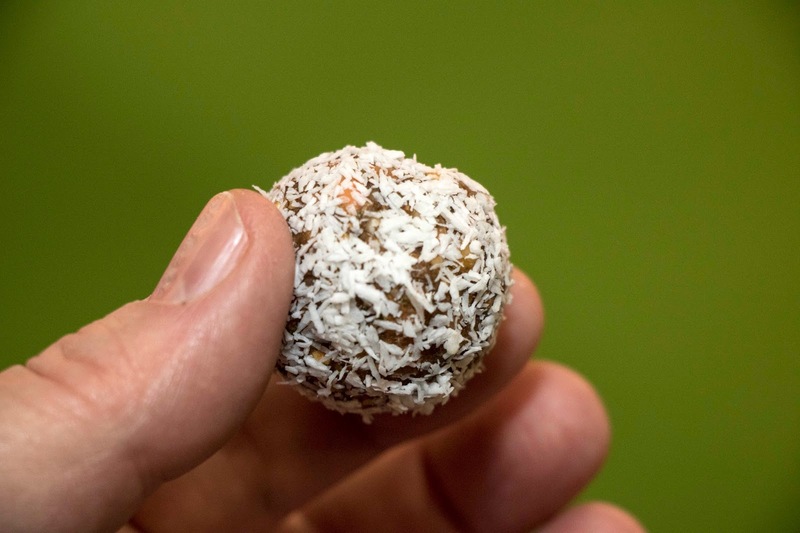 These were made from ground nuts, dates, and other ingredients rolled into balls and coated with shredded coconut. 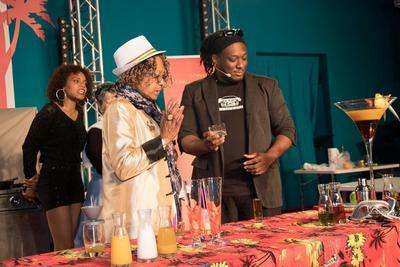 And Chef Stéphane Sorbon demonstrated how to make exotic cocktails. 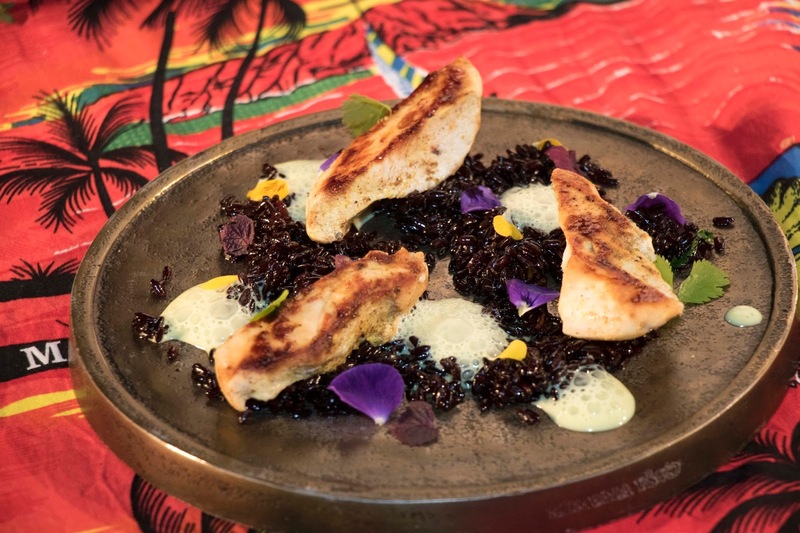 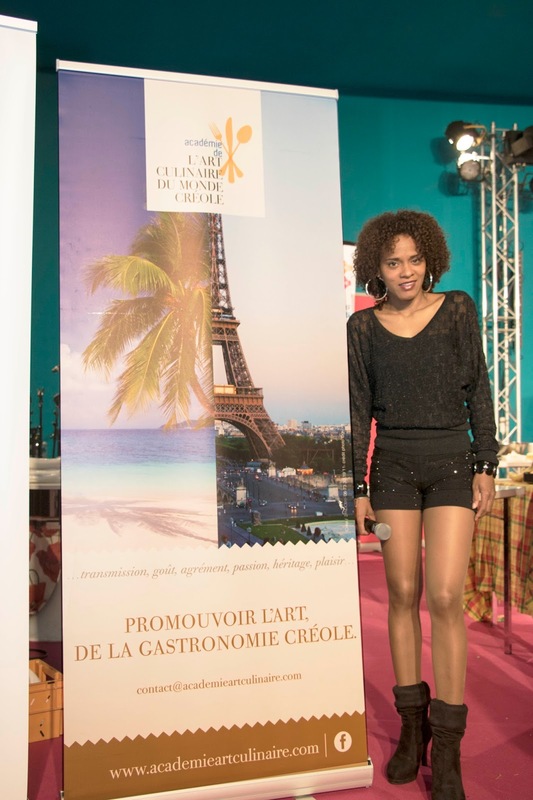 Other chefs who participated in the culinary event (but whose photographs are not shown here) are Béatrice Fabignon, who prepared seafood dishes, and Vanessa Kichenin, who prepared Indo-Guadeloupian lentil fritters. 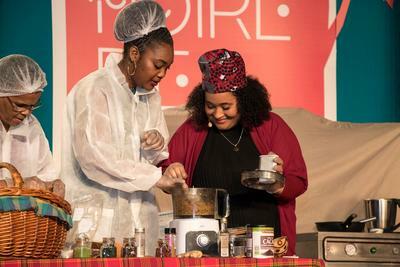 Some of the cooking demonstrations were interactive, with members of the audience joining the chefs on stage to learn firsthand how to prepare the recipes. 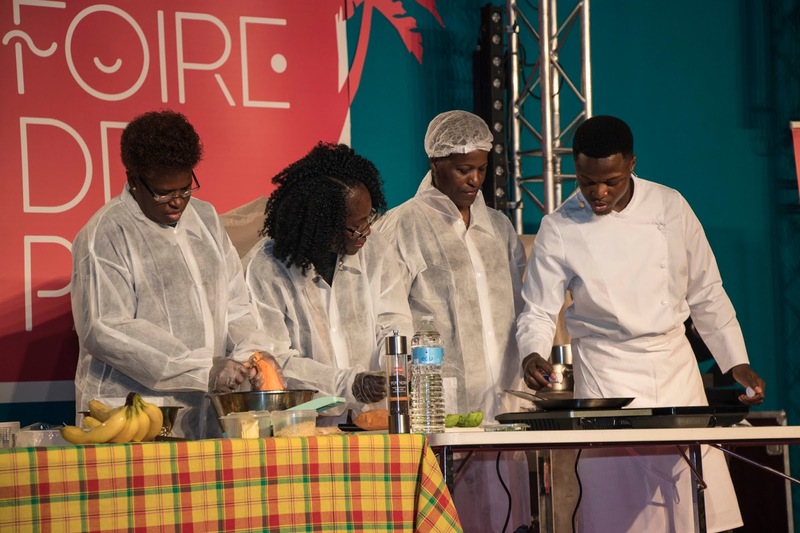 Several of the participating chefs are members of the Cercle des Jeunes Chefs Créoles (Circle of Young Creole Chefs), of which Chef Xavier Guillaume Sivager is president. The Académie also hosted a food photography exhibition, with images taken by chefs as well as amateur and professional photographers. It sponsored a drawing for an airline ticket to the French Caribbean (winner: Abauzit Sylviane) and awarded the Prix Savoirs et Saveurs Créole (Creole Expertise and Flavors Prize) to the best Créole gastronomy stand at the fair.